Some breweries print a best before or packaged date on the label, some put a date on the bottle, others have nothing at all. For the consumer standing in a bottleshop, how are they to know what’s new, what’s old, and what’s been kept in a warm warehouse for months? On November 14, Mane Liquor celebrated ten years in business. In this extended Behind Bars article, owners Elliot Moore and Josh Daley talked to Guy Southern about witnessing a decade of craft beer evolution from behind the counter. Who Brews Beaten Track Beers? You can find breweries off the beaten track in Australia these days, but few, if any, in as remote a location as Beaten Track itself. For our latest Who Brews? we find out the story behind the Boulder brewery six hours drive inland from Perth. Australia's longest running beer week kicks off tomorrow night. One of the defining features of this year's WA Beer Week is the proliferation of colourful collabs. Guy Southern gets the lowdown. Takeovers and buy-ins, supermarket craft and vague labelling. Both here and internationally, the issue of ownership and its impact on the beer world is constantly in the news. 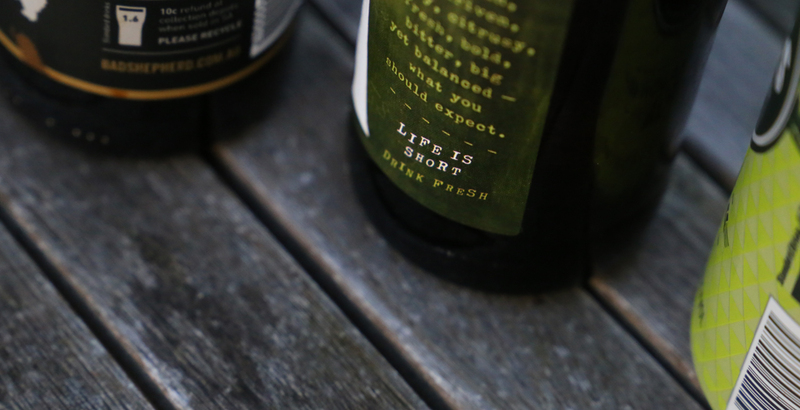 Over two days, we look at what it means for craft beer and those who drink it in Australia.